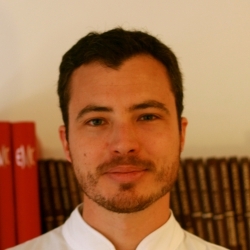 Guillaume Ploussard (MD, PhD) is working as uro-oncologist in Toulouse, France, at Saint-Jean Languedoc Hospital and Institut Universitaire du Cancer - Oncopole. After Medical School at the University of Paris, he completed a robotics fellowship at the Department of Urology, McGill University in Canada. His main interests include basic (biomarkers in prostate cancer) and clinical (focal therapy, minimally invasive techniques) research that has been funded by research grants) in uro-oncology. Guillaume Ploussard is managing editor of World Journal of Urology, section editor of European Urology Today, member of the sub-committee at the EAU section of Oncological Urology, chairman of the YAU-EAU Working Party on prostate cancer and member of the French Cancerology Committe (CC-AFU). He has published more than 150 articles in peer-reviewed journals and received multiple national and international awards for his work.